From our exclusive selection of Mirror Diffraction Glasses comes this black beauty! Our Black frame is paired with stylish Gold Mirror Diffraction lenses to give you the look of sunglasses but all the excitement that diffraction brings along. Designed with comfort and style in mind, these diffraction glasses are truly a timeless look. Not only are these glasses produced with only high quality parts, but we stand behind our products which is why our glasses are covered by our Lifetime Limited Warranty. 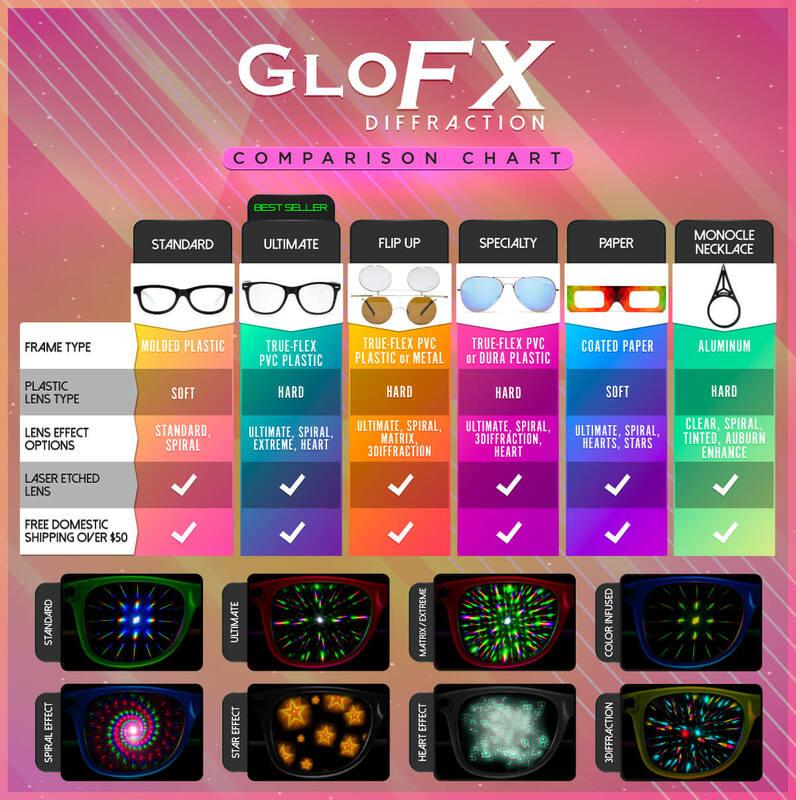 Get ready for your next festival and impress all your friends with GloFX Diffraction Glasses.